We welcome your donation of new and gently used items to The Arc Attic Treasures. We will even pick up the items at no charge from your home or business. To request a pickup, call (701) 232-6641. If you are dropping off your items, please note that gas grills and lawn mowers can only be accepted at the south Fargo location due to city fire codes. Please launder swimsuits and undergarments before donating them. While we appreciate your desire to give us as many items as possible, there are some items we cannot accept for liability or other reasons. Please keep in mind that clothes, shoes, stuffed animals, etc. that are dirty, torn, stained or threadbare cannot be sold in the store. 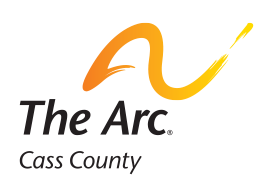 Your donations to The Arc Attic Treasures are tax-deductible. Thank you for thinking of The Arc Attic Treasures when you are donating. All donations support our programs for people with intellectual and developmental disabilities.